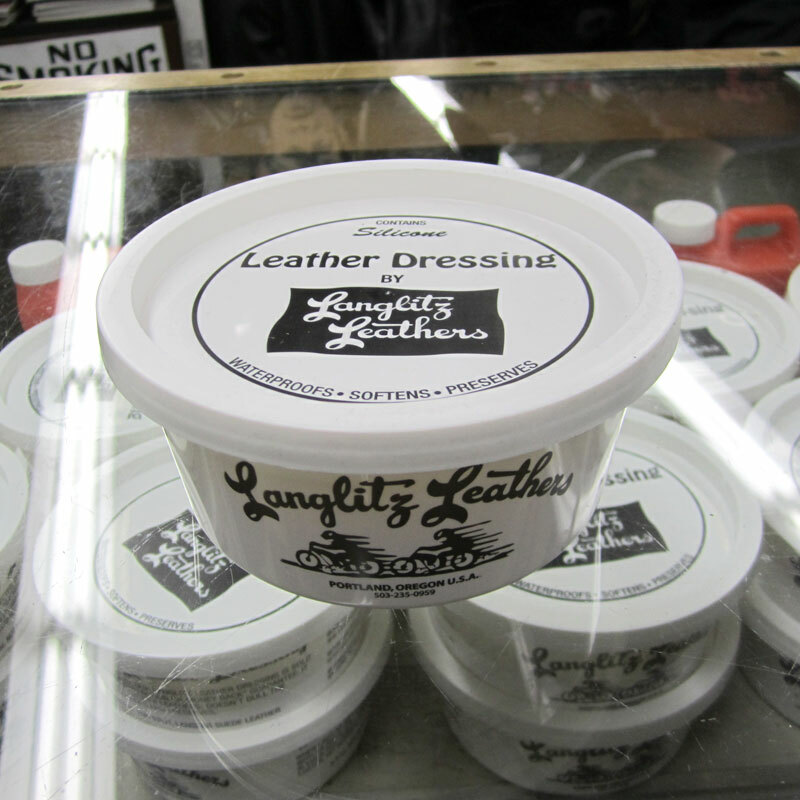 Don’t forget to grab an 8 ounce tub of leather treatment. 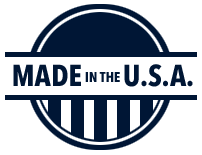 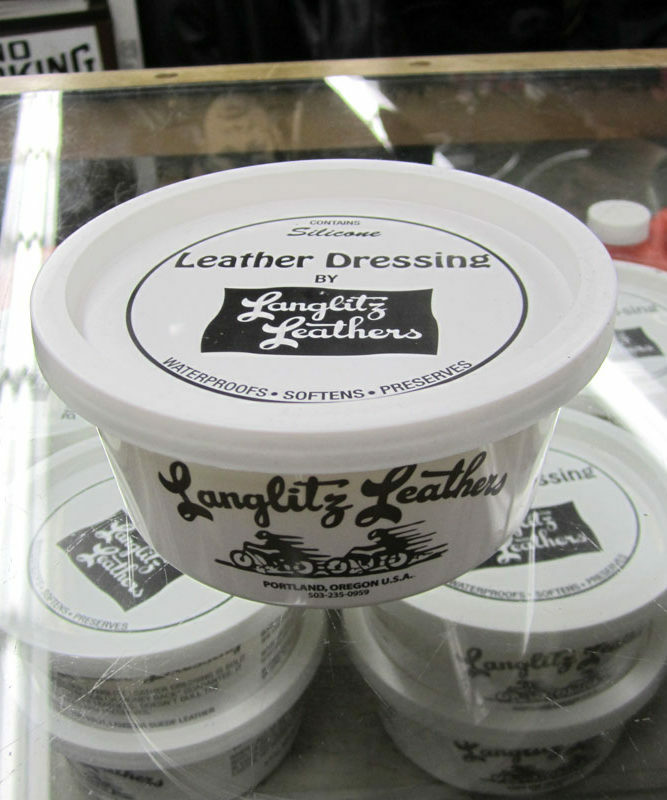 This combination of oils, waxes, and silicone will keep your jacket feeling good and a bit more resistant to rain. 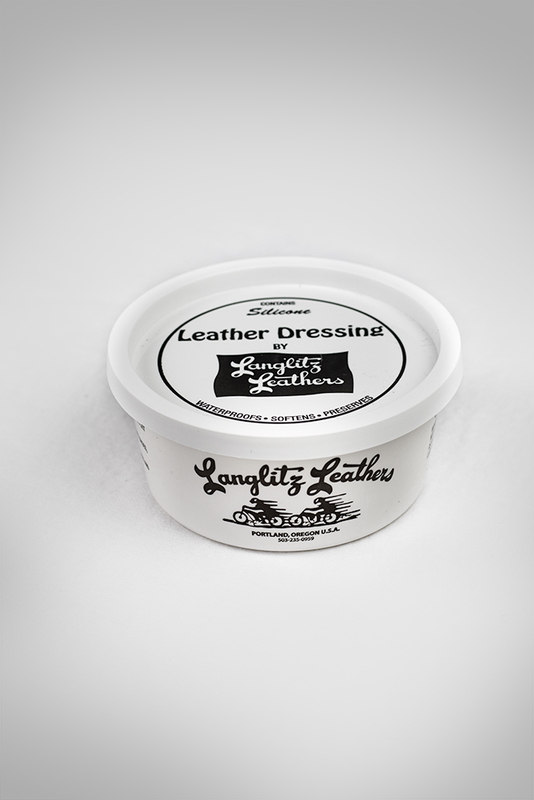 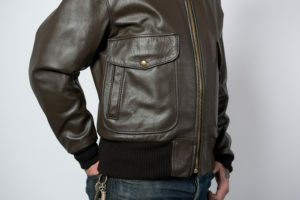 This leather dressing is made by Snowshoe Laboratories in Portland, Oregon.